✅ Trip Verified | Terminal was small but efficient. Toilets are smallish but clean. Building looks run down and dreary but noticed significant improvements in the departure lounges. There are still not enough seats though for lounges with wide-body departures. Almost next no nothing F&B and shopping options. Hope they push through with planned expansions, this airport is crying for it. ✅ Trip Verified | This has to be one of the worst airports I have ever used, its drab, it lacks any form excitement. Food outlets are poor and dated as is the airport itself. However after reading a 2.7 billion peso upgrade was made a few years back I wonder (well I don't really, because I think I know) where the funds went! Davao City airport in the Philippines is spacious queues are minimal pre check in. After check in you head upstairs to the departure area pay your departure tax and pass through security. You then find yourself in a the domestic departure area where there is plenty of seating and TV screens. Flight announcements are limited my flight was delayed by 2 hours yet there was no announcement to advise. From and to Singapore on Silk Air. 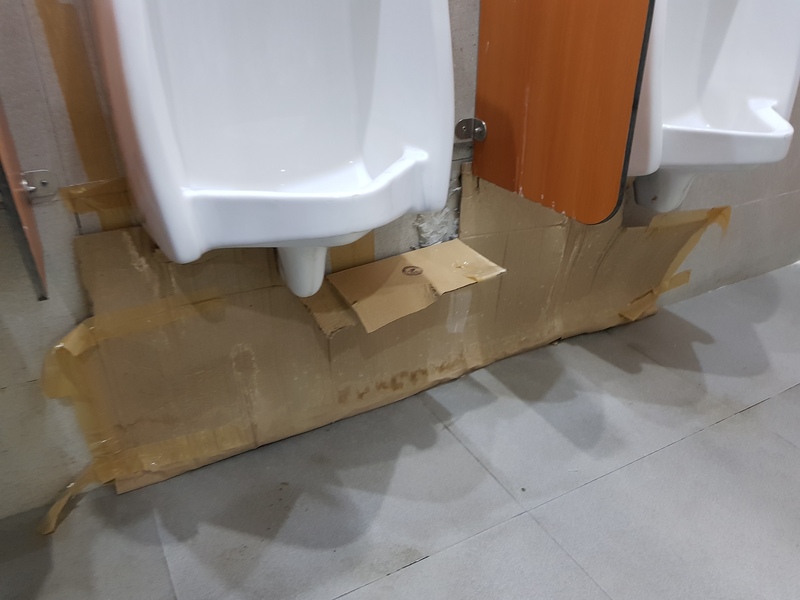 This is a functional airport which in the Philippines is high praise! Security checks are numerous and slow as everywhere in the Philippines but because of the small number of international passengers moves quite quickly. The same can be said for check-in baggage claim and immigration. Toilet facilities are sufficient and clean. On the downside for those who need shops there is only one very small cafe before immigration and a kiosk selling very basic items in the gate area. All in all a good facility in the Philippines. International flight from SG. Arrival quick but when passengers started to queue up for immigration the lights in the hall were switched off. The only thing that lit the hall was the sun from the windows. After 10 minutes of darkness someone finally realized they needed to turn on the lights. Departure was ok except for the time consuming queue for x-rays. Basic international airport. There's room for improvement. Departures area uses natural light the main drawback is the layer of security personnel and the number of X- ray machines being used. Check-in counters are looking battered. No area for wait listed passengers. Stores are outrageously priced. Pre-departure lounge is getting to be a bit crowded with a wifi that is not really working and toilets that either are not fixed or smell. The airport is looking like a giant billboard of advertisements. Tourist information area may need further improvement. I like the design it is being upgraded in terms of services given by the Airport Authority and soon I expect they open International destination in our region. Arrival to the airport got me the wrong impression of the airport since arrival hall was almost non air-conditioned and with old facilities. Baggage collection slow and hall was dim (but it was 0305 in the morning anyway). Departure hall was the opposite but security was extra-tight following the bomb in 2003. 5 check-points (1st-Searching taxi boot 2nd-When getting off taxi 3rd-Before entering airport 4th-Immediately after entering airport 5th- After checking in and going upstairs 6th-(Optional) Final handchecked point for Silkair passengers) before getting to the lounge. Signage was very good and clear. Plentiful gates and check-in desks. However I was shocked right before the 3rd checkpoint that we had to pay for a mandatory Terminal Fee of Php 550. I thought they would include it into the airline ticket. I ran out of money and was forced to exchange money at the store inside the airport. The lowest possible rates was there they must have earned a lot. Davao Airport is not very good especially with such a high terminal fee. No seats in the arrival hall (for people picking us up). Check-in is a breeze? I pass there every two weeks and never meet any breeze. Airport tax is 200 Pesos domestic and 550 international a blow in the face of so many people. Increasing over more than 500%! Guests who come to pick me up were send out from the arrival hall like dogs to wait in burning sun with no place to sit or have a drink. A lack of stores and restaurants inside the terminal. Davao International Airport is the only airport where you get your shoes x-rayed twice before you can pass. Davao International Airport is the only airport where you get your shoes xray'd twice. You have to remove shoes and xray them to gain access to the check-in area. After check-in you move to your departure lounge area and then go through another xray and physical baggage check and again off with the shoes and through the xray machine. Why is this done twice. It causes a backlog at the xray machines as people are trying to get shoes back on and their baggage is clogging up the machines.